This post is sponsored by San Bernardo Ice Cream, but all thoughts and opinions are my own. 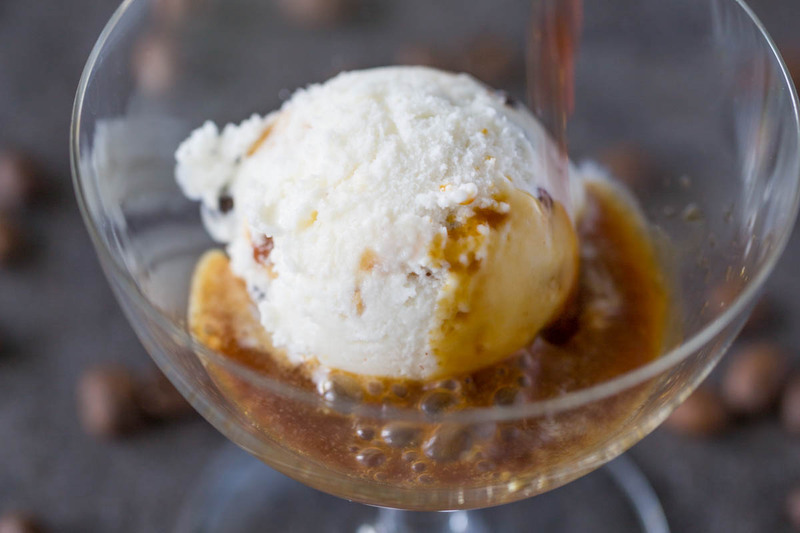 This affogato recipe answers all your affogato questions. What’s an affogato? How do you make it? How do you eat it? Find out here. Includes a video! This affogato dessert featuring San Bernardo’s Italian Biscotti flavor is simplicity in a glass that will make your everyday indulgences guilt free and full of flavor. 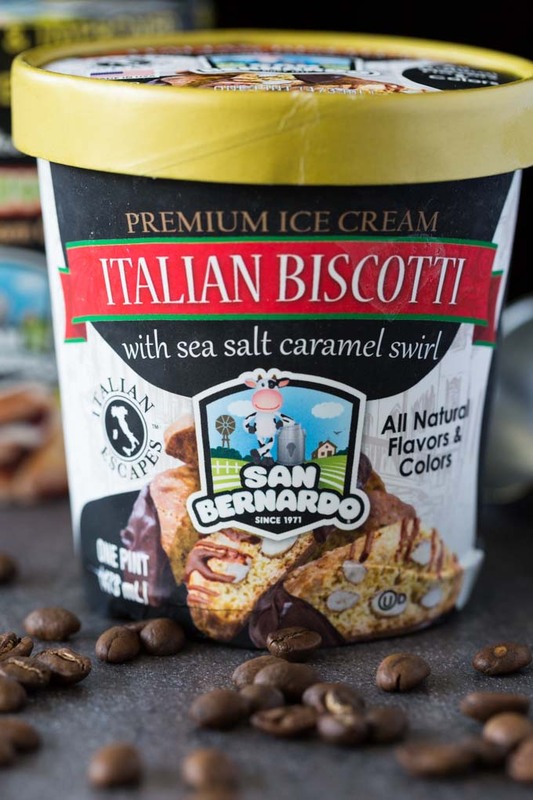 San Bernardo is the perfect creamy based, all-natural, premium ice cream to put in any dessert-beverage! Hot coffee is a glorious beverage, but how do you change it up when the weather starts to get cooler and you still want something cold and sweet? You make an affogato, of course! An affogato is a scoop of ice cream drenched in a shot of espresso or strong coffee. Adding in San Bernardo ice cream is truly what I found that takes this classic to the next level compared to other ice cream brands. 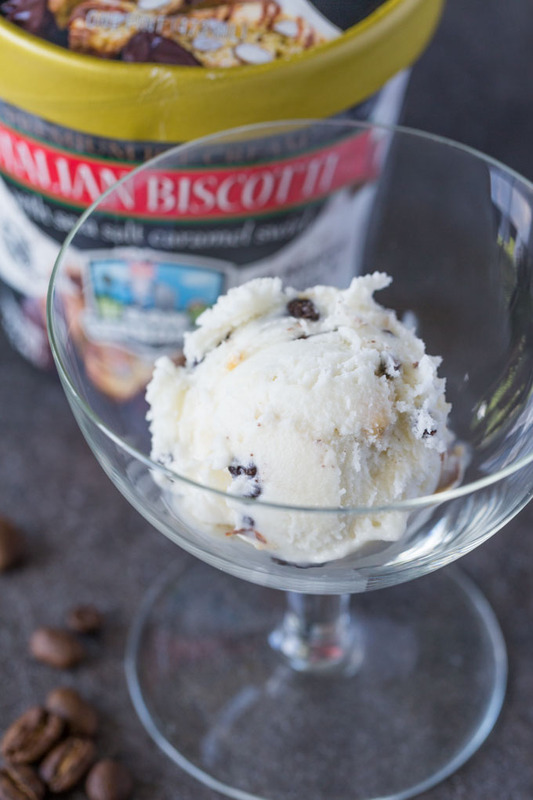 The richness and texture of San Bernardo ice cream make this classic Italian dessert scream Italian flavors! Order your favorite San Bernardo flavors online today using my special discount code, “SpoonThis11” to get 6 FREE giant brownies and cookies (3 of each) with any pint purchase (For a Limited Time Only)! Freebies and ice cream, what could be better? 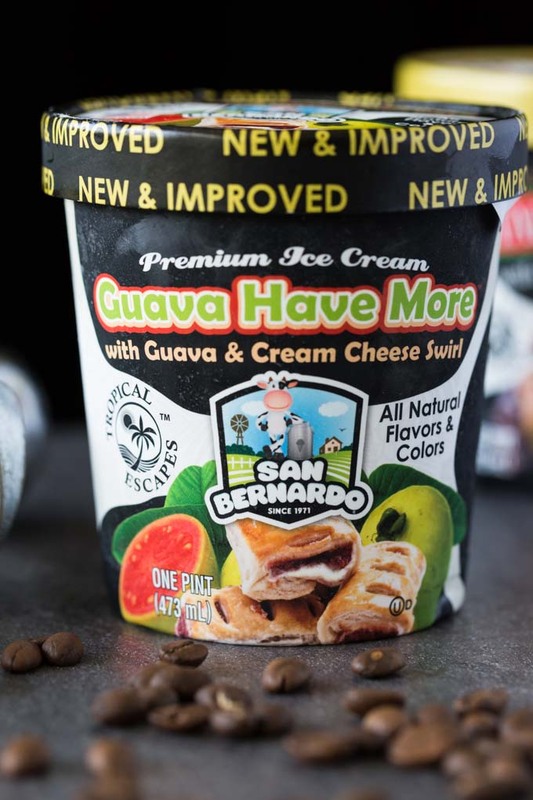 I like to use San Bernardo Ice Cream, not only because they already hold that sweet spot in my heart being locally based in the sunshine state of Florida like me, but because all the ice cream is made with only natural, quality ingredients and contain no artificial flavors or artificial colors and no high fructose corn syrup. 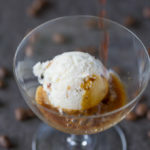 What kind of ice cream do you use for an affogato? Traditional affogato uses vanilla ice cream. They’re all good enough to eat by the spoon or to use in a recipe like this one, so use your imagination and have fun! I used the San Bernardo Biscotti flavor in my affogato. 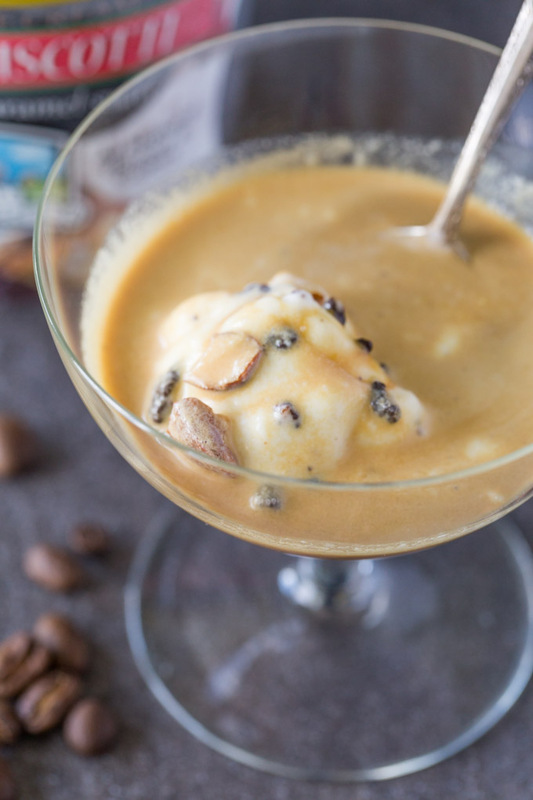 You could even make a Latin fusion affogato with their Guava Have More flavor! When do you serve an affogato? An affogato is traditionally served after a meal, as a dessert course. Of course, I think they’re wonderful all day long. Try one as an afternoon pick-me-up and you’ll see what I mean. When it’s made with San Bernardo ice cream, it’s rBST Free, contains 20% Less Sugar and Fat, and is made with only All-Natural ingredients, so there’s no need to worry or feel guilty about that mid-afternoon sweet tooth craving! How do you serve an affogato? 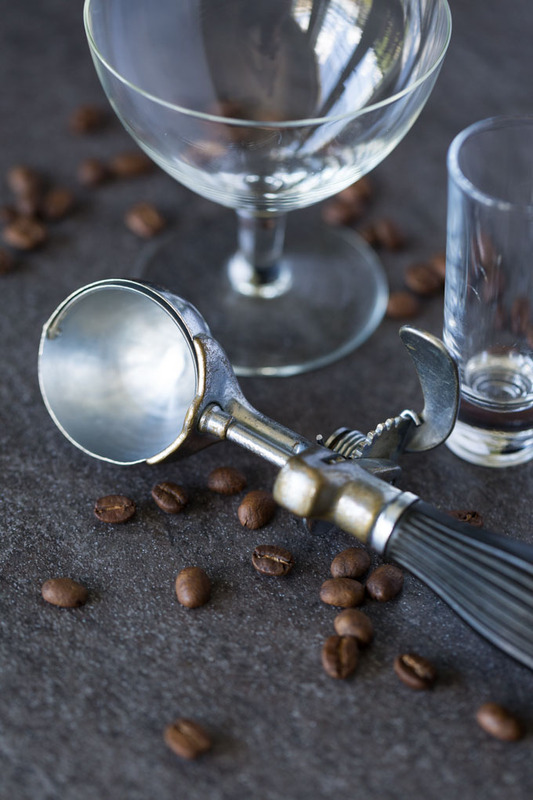 An affogato is served individually in a small, clear glass that’s a little bigger than a standard espresso glass (so it can fit the espresso and the ice cream), along with a spoon. You can also serve it in two glasses: one for the San Bernardo ice cream, and one for the espresso. How do you make an affogato? 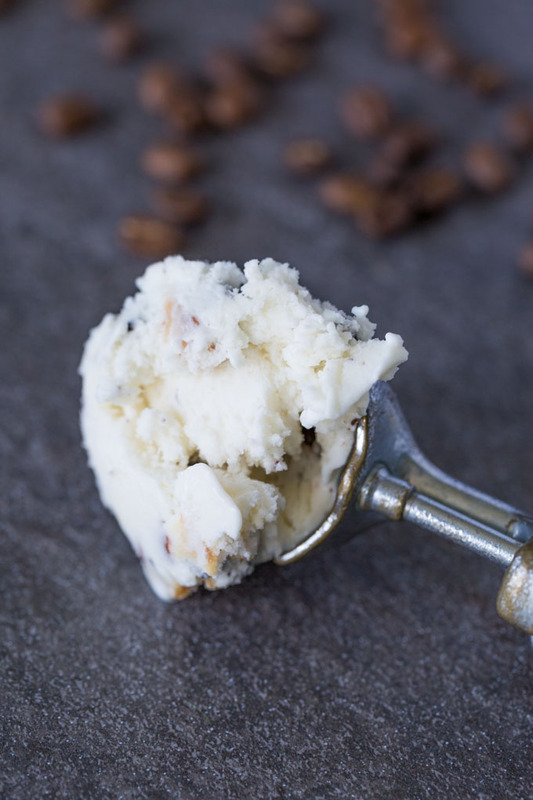 You need one scoop of San Bernardo ice cream and one shot of espresso or strong hot coffee for each serving. 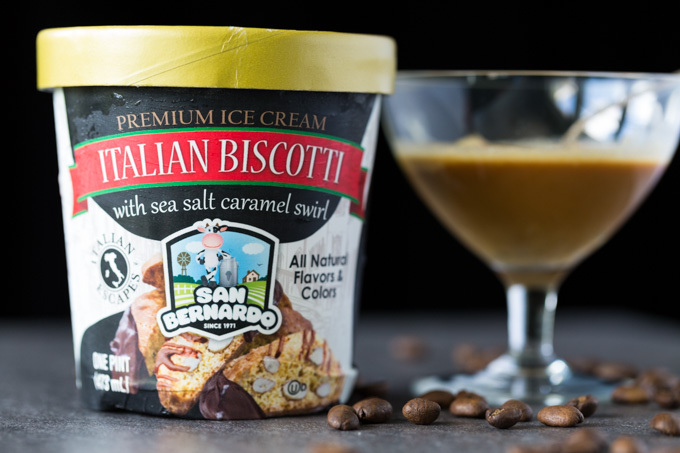 Put the San Bernardo ice cream in a serving glass and pour the shot of espresso directly over it. Serve it immediately, before it melts away. How do you eat an affogato? Do you drink it or eat it with a spoon? Eat your affogato with a spoon! The idea of waiting for an affogato to melt is as silly as waiting for a hot fudge sundae to melt. An affogato is an ephemeral dessert—here one moment, gone the next—so spoon it up in perfect bites of hot and cold together. If you must slurp from the glass at the very end, I promise I won’t tell on you. Truthfully, San Bernardo Ice Cream is so good! I wouldn’t be surprised if you did just that. 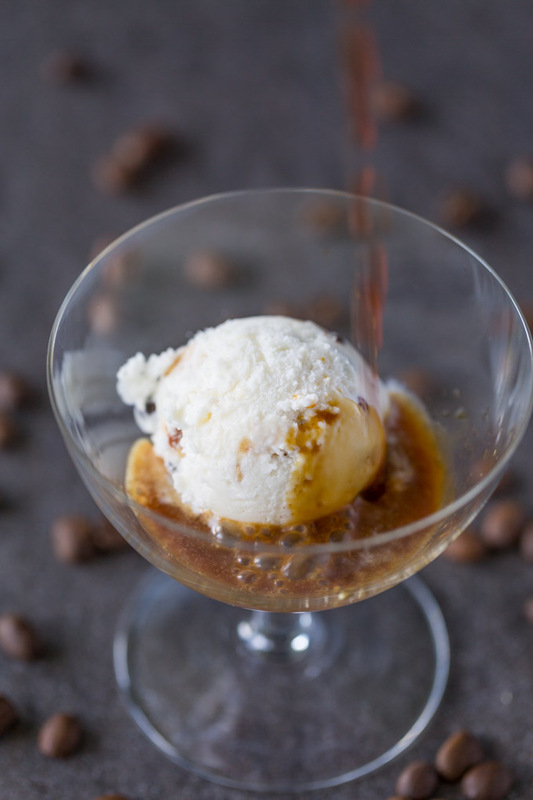 Be sure to check out San Bernardo ice cream yourself to start making your own fabulous affogatos right at home! Don’t forget to use my special discount code, “SpoonThis11” online to get 6 FREE giant brownies and cookies (3 of each) with any pint purchase (For a Limited Time Only)! Plus, ordering online saves time and your ice cream will show up packed tightly in dry ice, leaving it crisp and full of deliciousness! A recipe for how to make an affogato, an Italian coffee dessert that combines espresso with ice cream for a hot and cold treat. Prepare the espresso or strong coffee. For each serving, place the ice cream in a small glass. 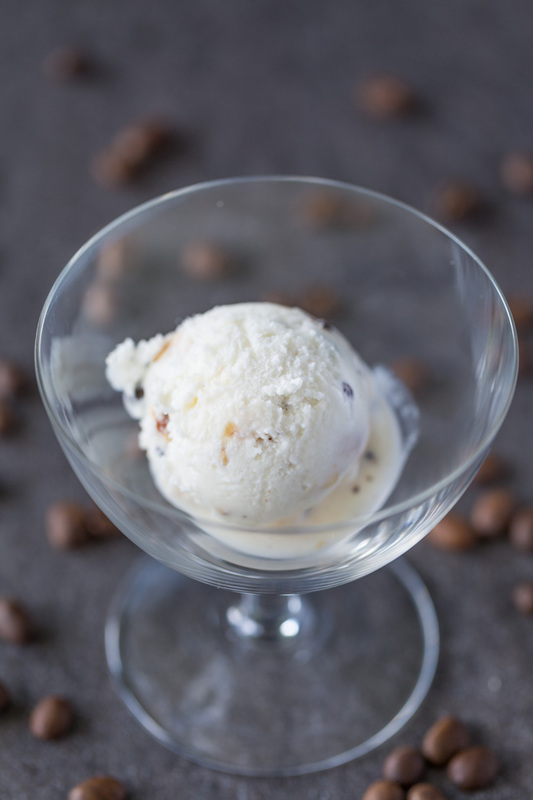 Pour the espresso over the San Bernardo ice cream. Serve immediately with a spoon. I am over fifty and have never heard of an Affogato. It looks delicious and so easy to make. Eleven grams of sugar isn’t to bad either for an occasional treat that looks fancy. That sounds amazing — I could totally go for that right now. I love anything with ice cream. Now that is my kind of drink. I would love to try that. You have such nice directions; very clear! I would really like to make one for myself! I would die to get some of this. I love the mixture of a sweet ice cream and a shot of strong coffee. Definitely a dessert to have.